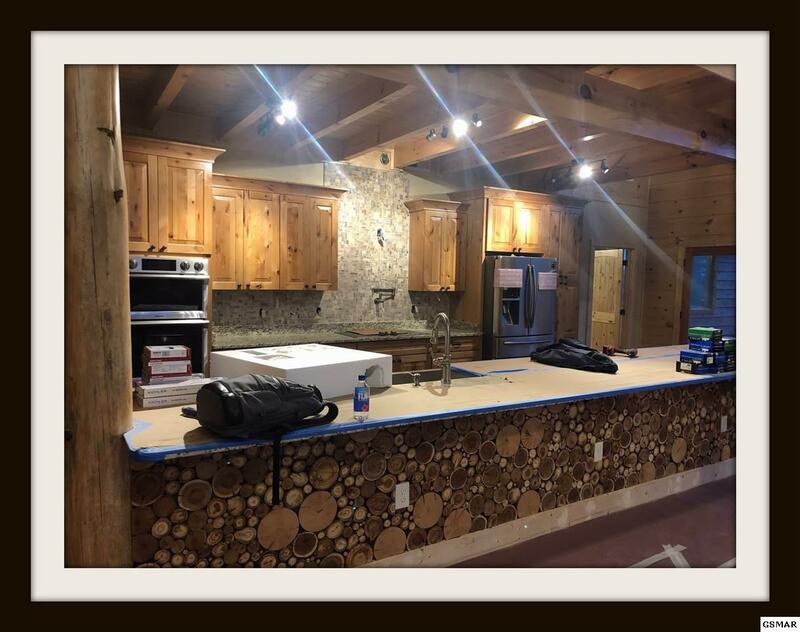 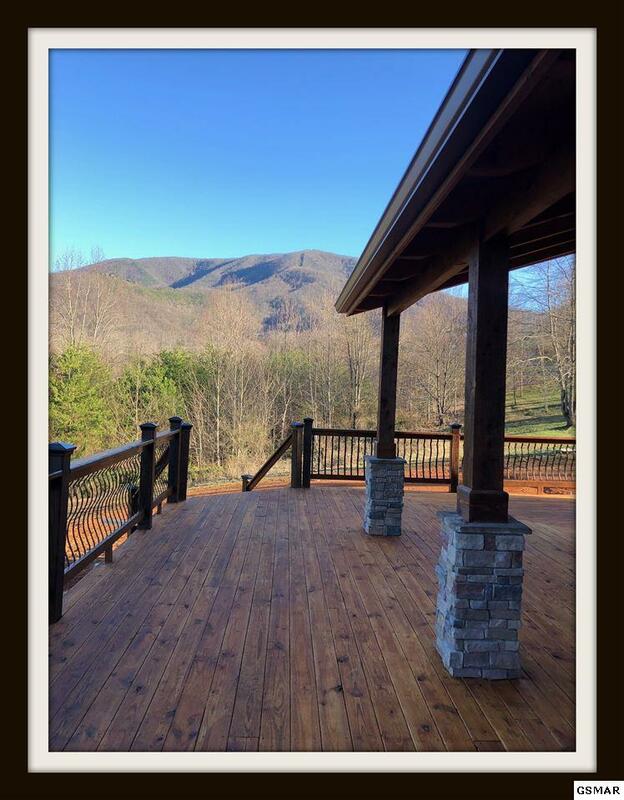 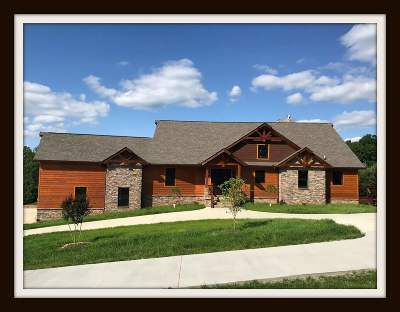 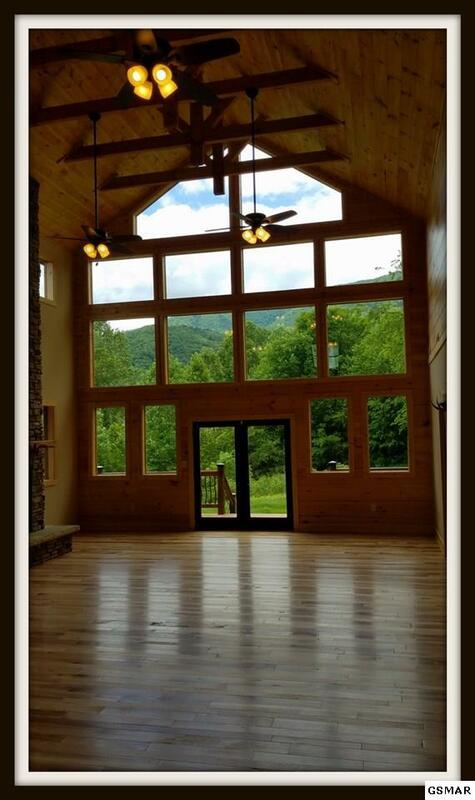 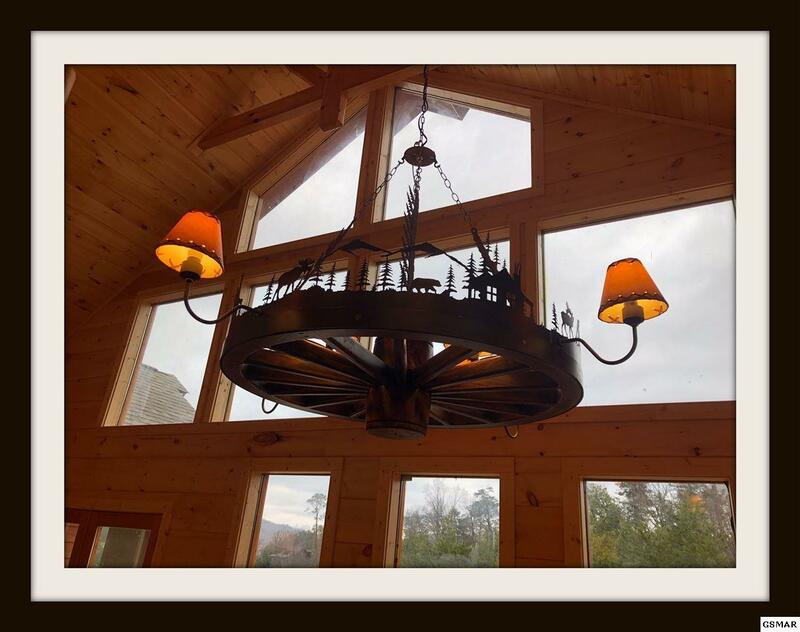 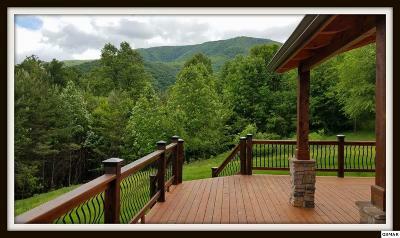 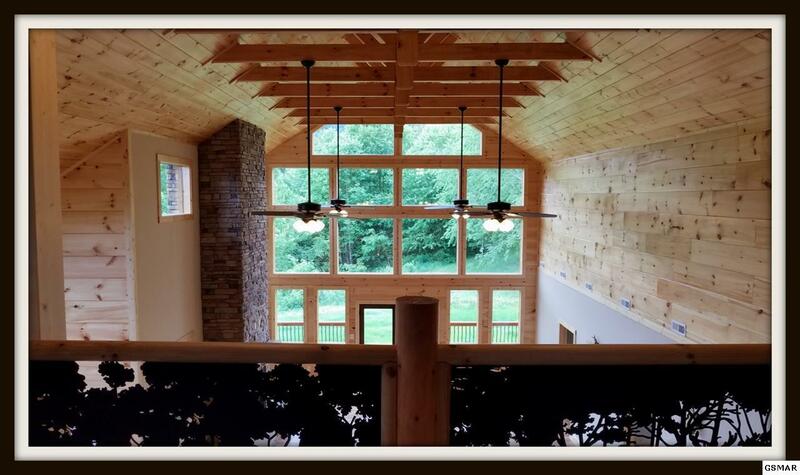 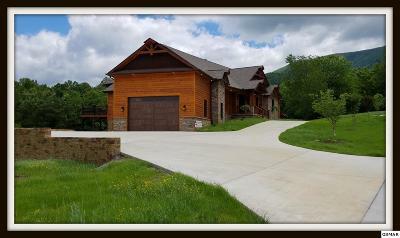 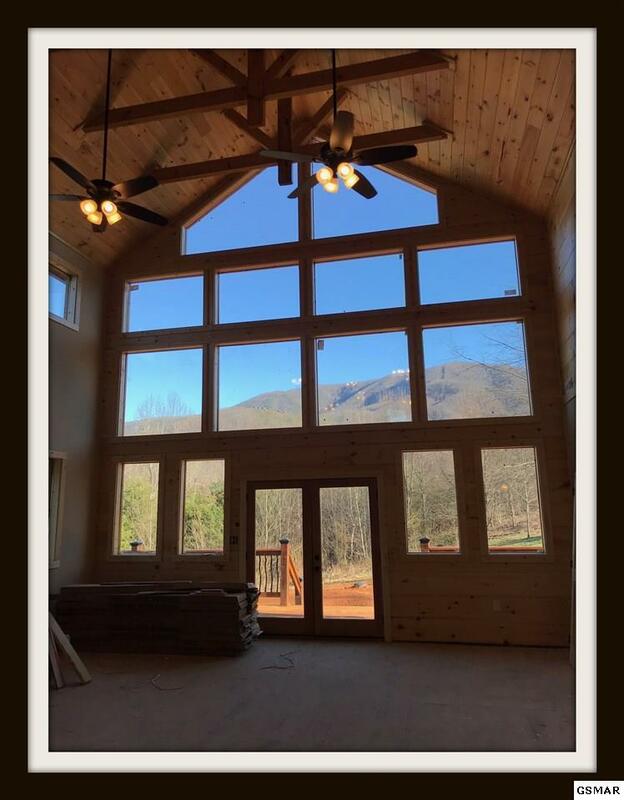 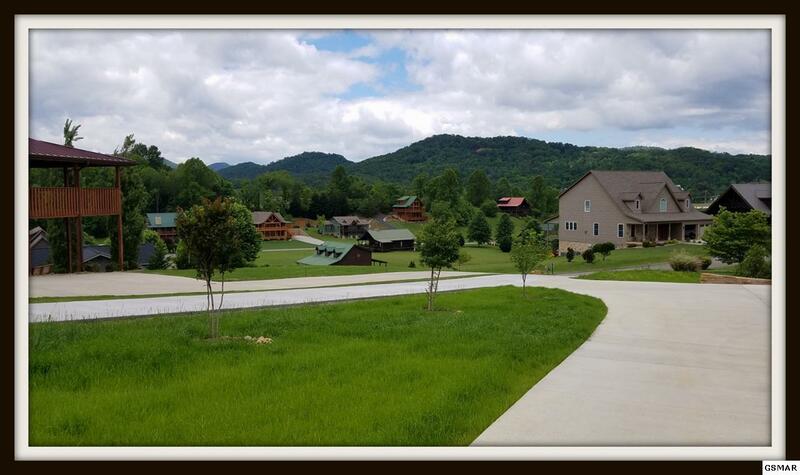 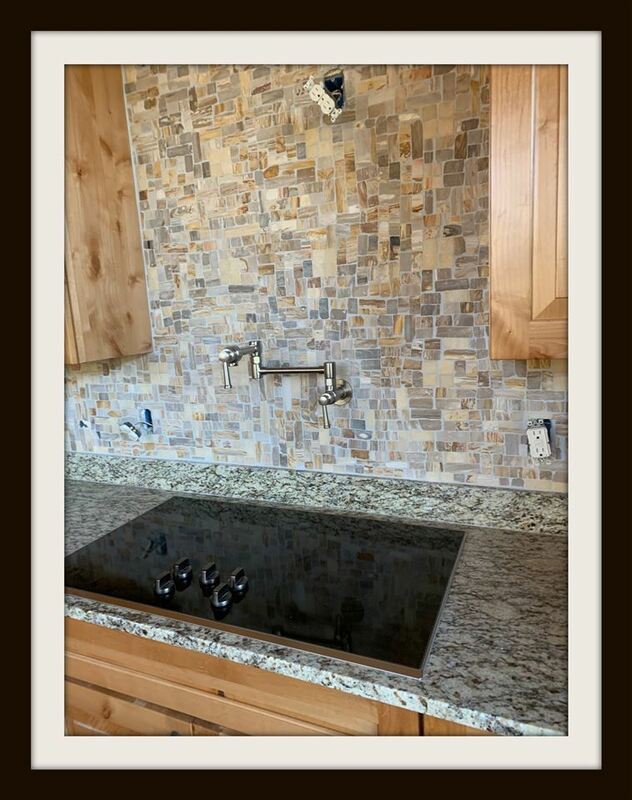 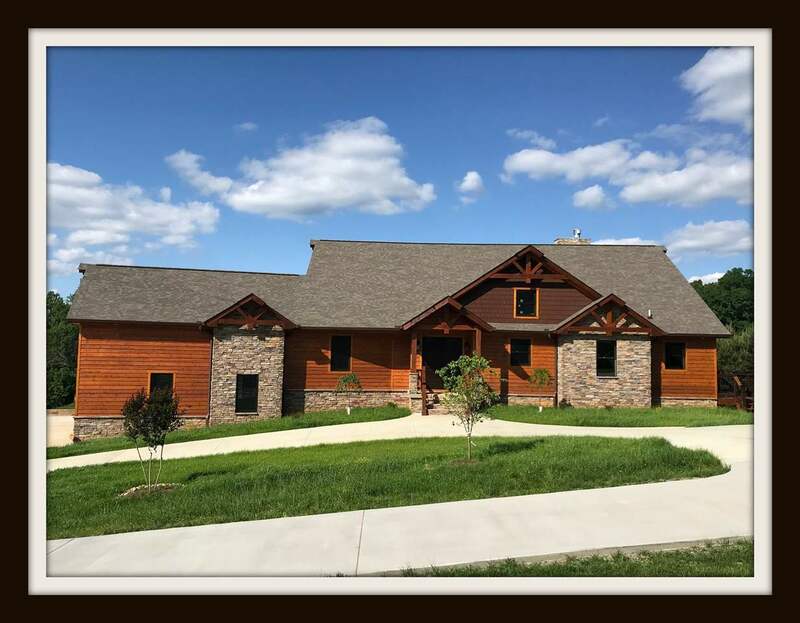 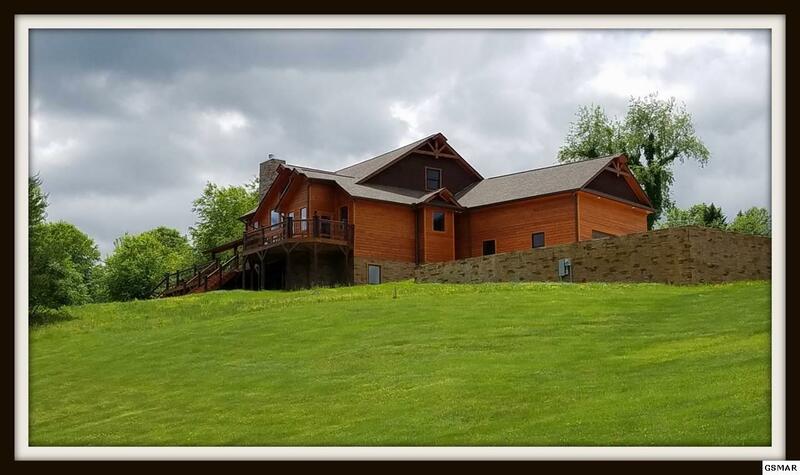 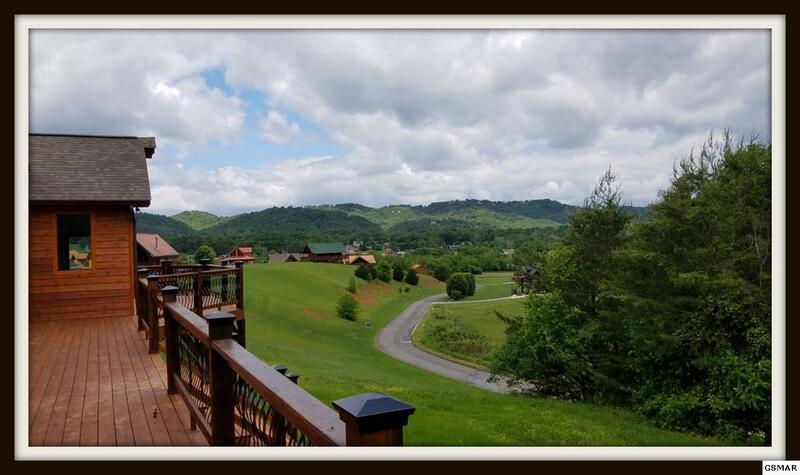 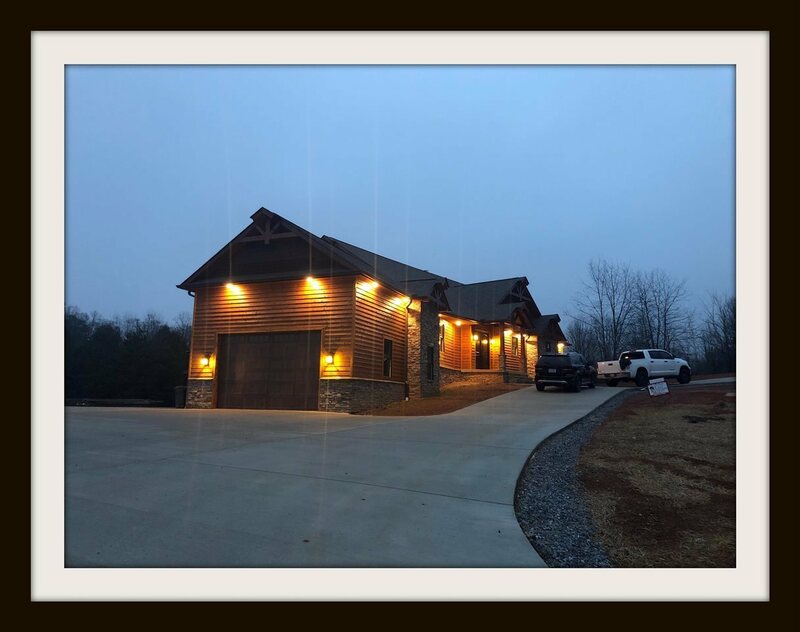 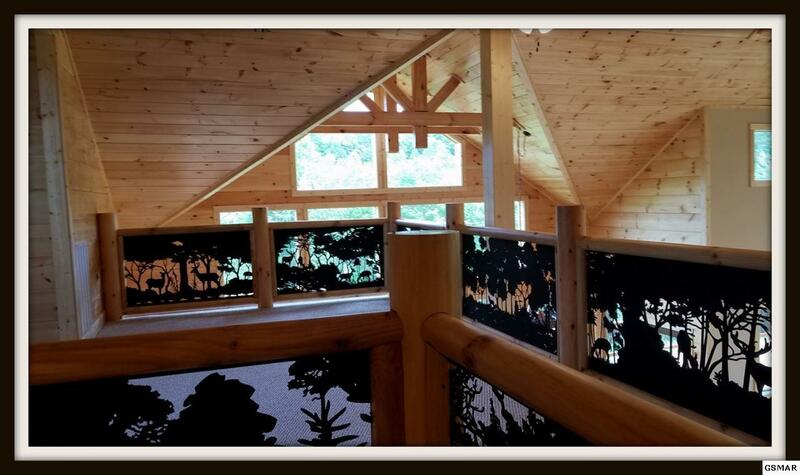 Located in the heart of beautiful Wears Valley with the Great Smoky Mountains National Park outside your windows, this brand new lodge-style home is perfect for permanent living whether it's as a retirement home or second home or as an income-producing overnight rental. 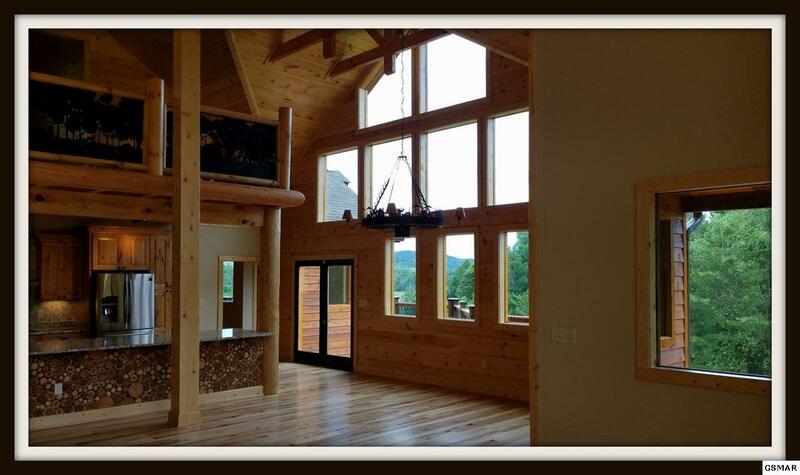 SOARING timber frame gathering area gives you a mini-lodge feeling. 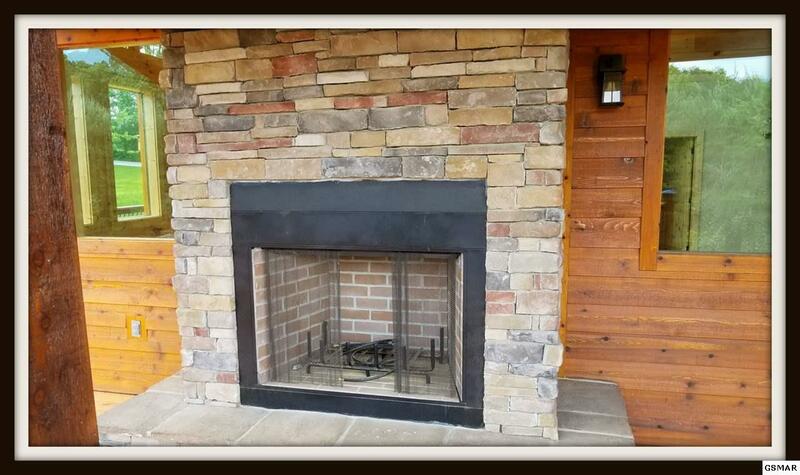 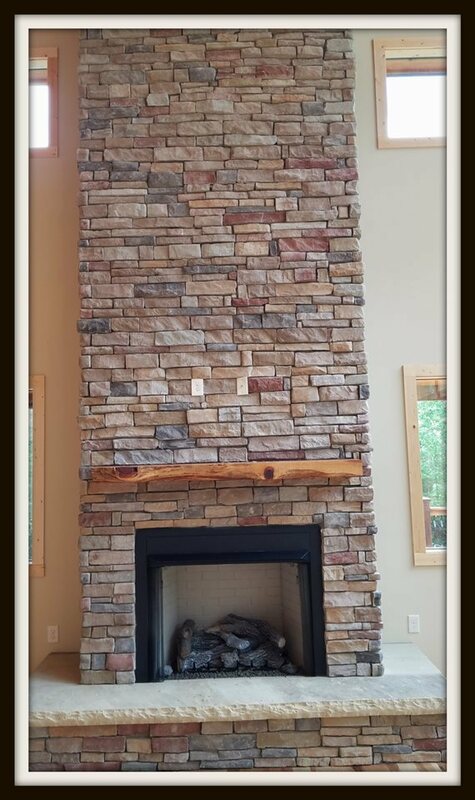 Gorgeous stone fireplace on side wall so that the mountains can be seen from top to bottom through the two-story high windows. 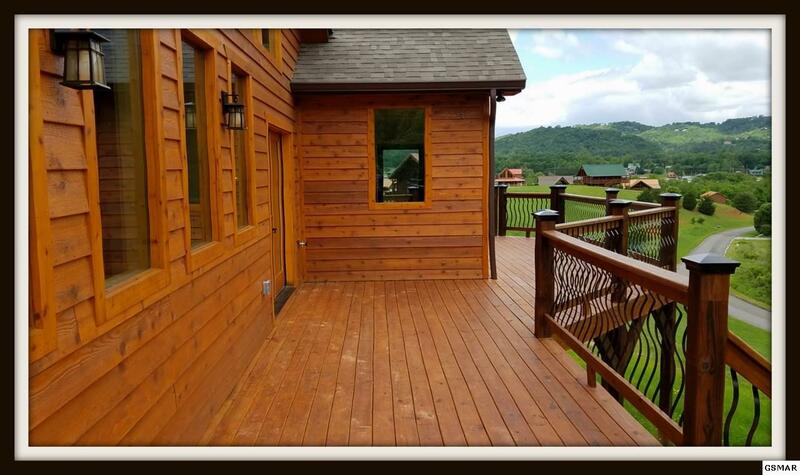 Over 1500 sq ft of decks surround this lodge, so outdoor enjoyment is always available, even including outside fireplace for roasting those marshmallows on a cool night. 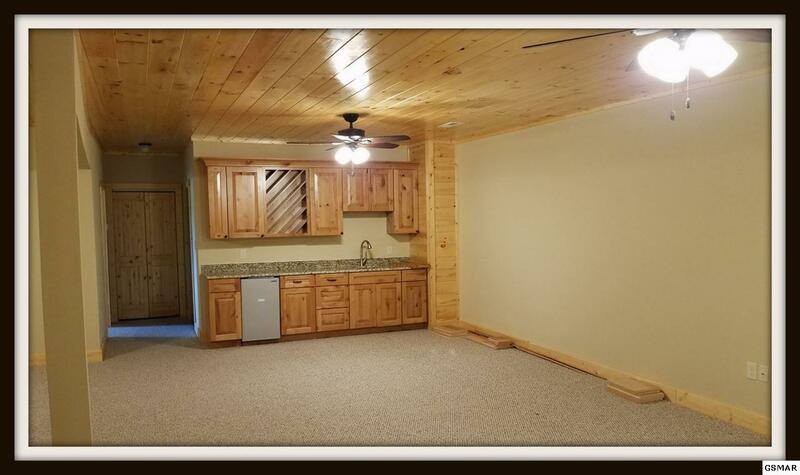 Over-sized kitchen, master bedroom suite and two additional bedrooms, and/or bonus room/office are all located on main floor. 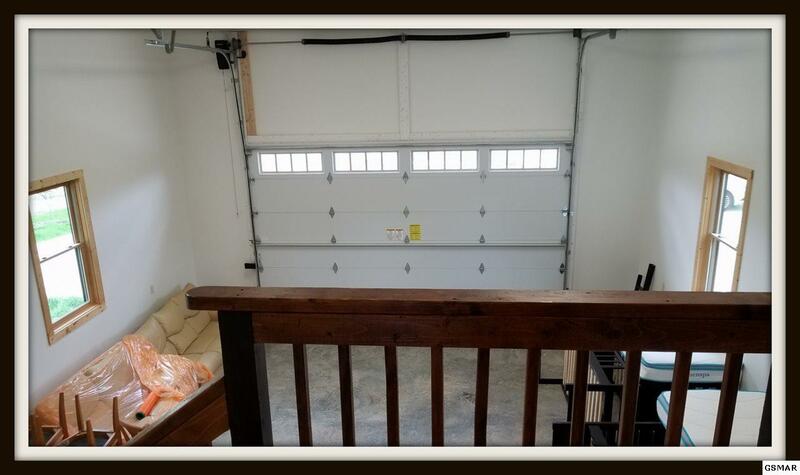 Two-car 745 sq ft garage could probably hold an RV, too. 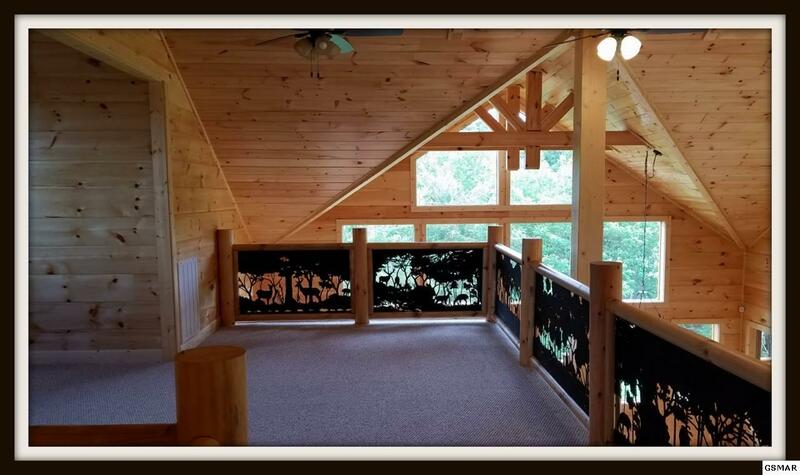 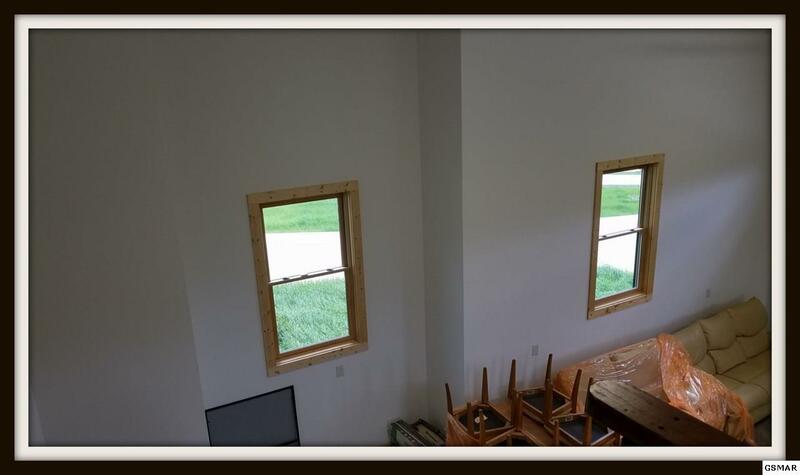 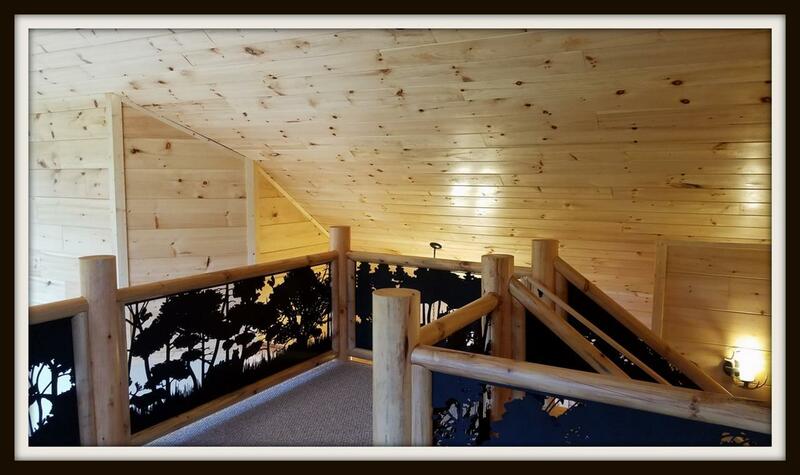 Upstairs loft is spacious and can be home to a wonderful recreational area, reading area, additional sleeping, whatever you want...and the views out to Cove Mountain are outstanding from this level, too. 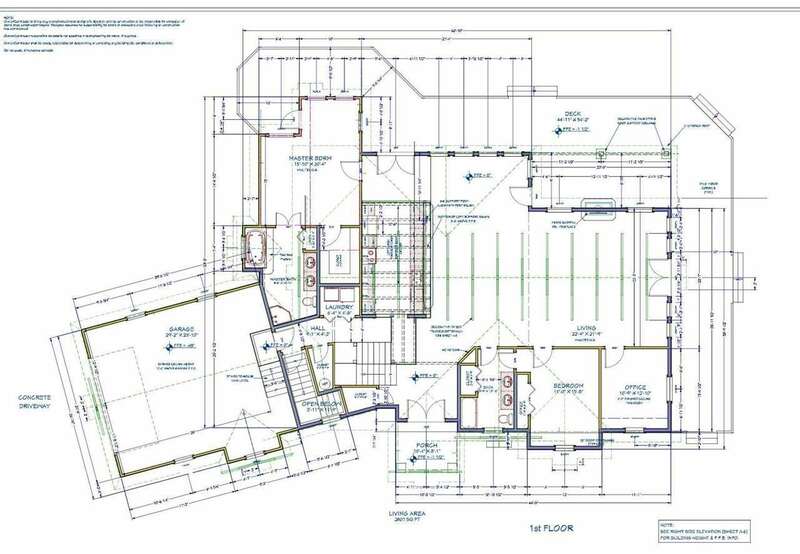 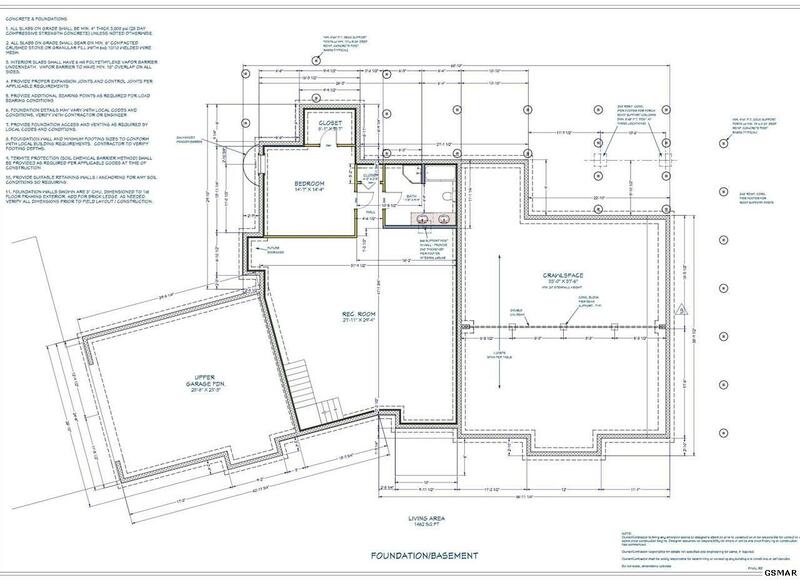 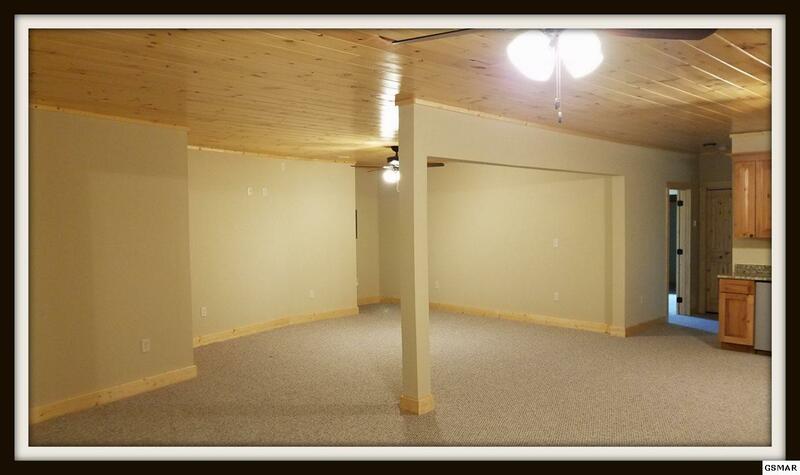 Lower level has more recreational area (would be easy to be a home theater), a 4th bedroom, and full bath. 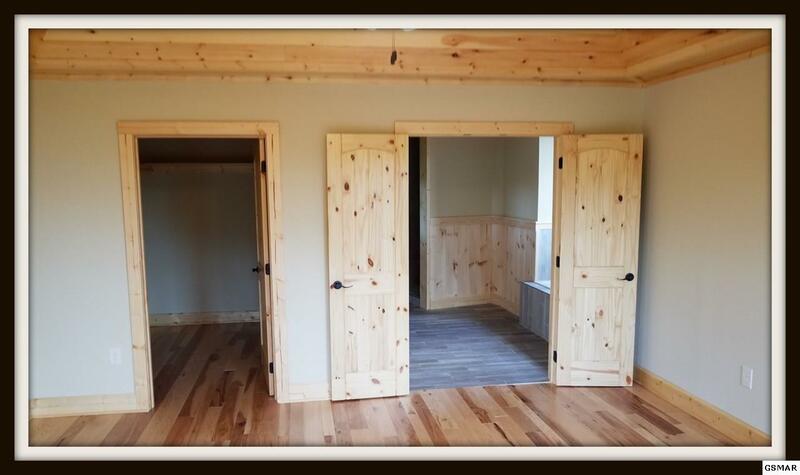 Front door is a one of a kind cedar--over $1000 just for the stain and finishing of this door! 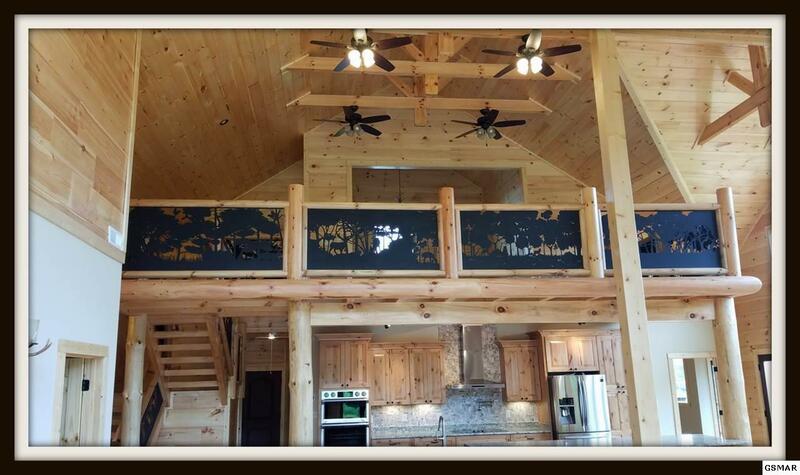 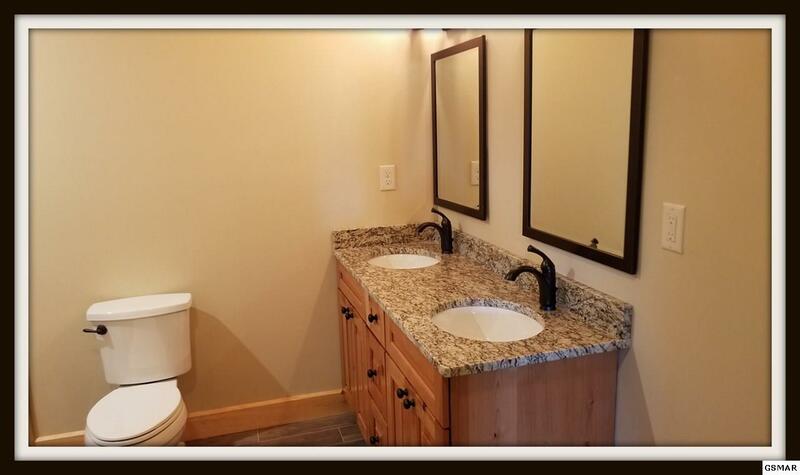 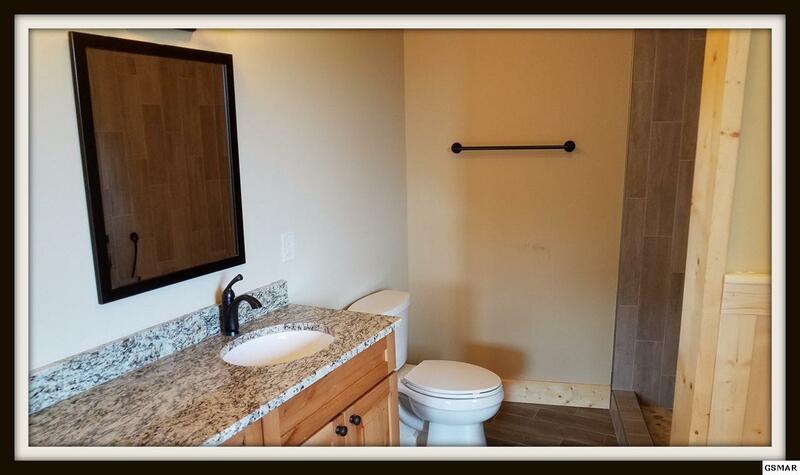 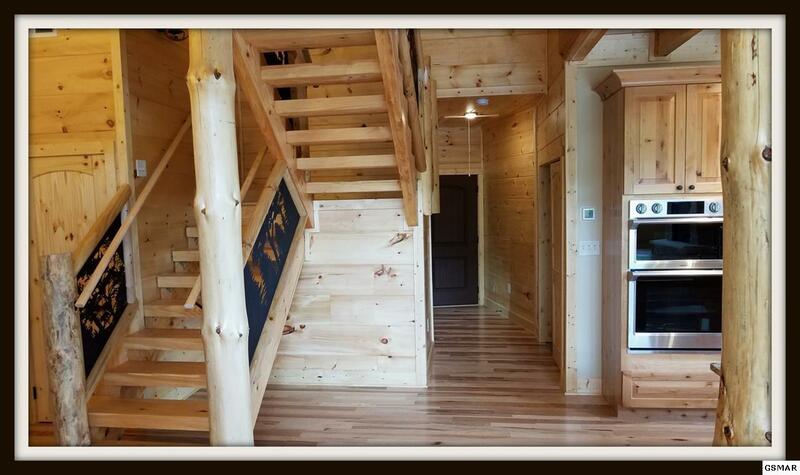 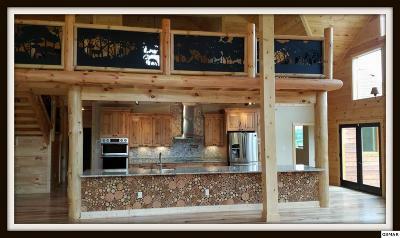 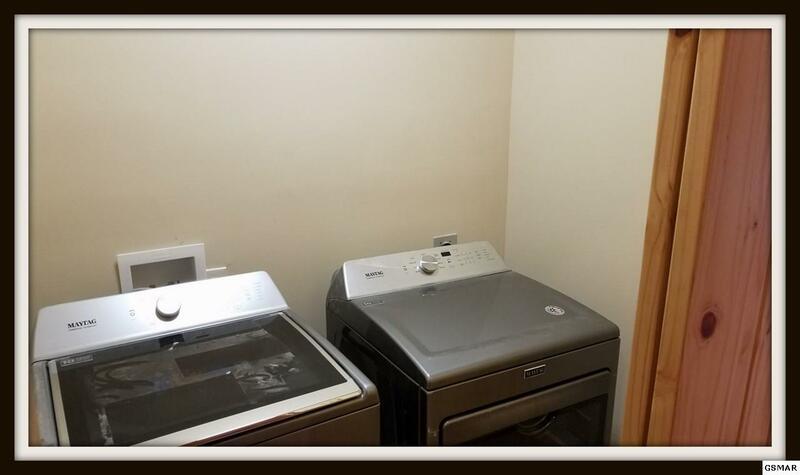 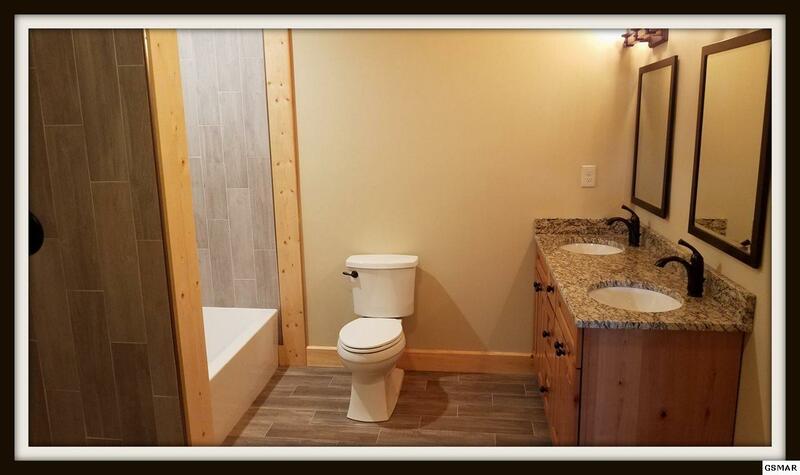 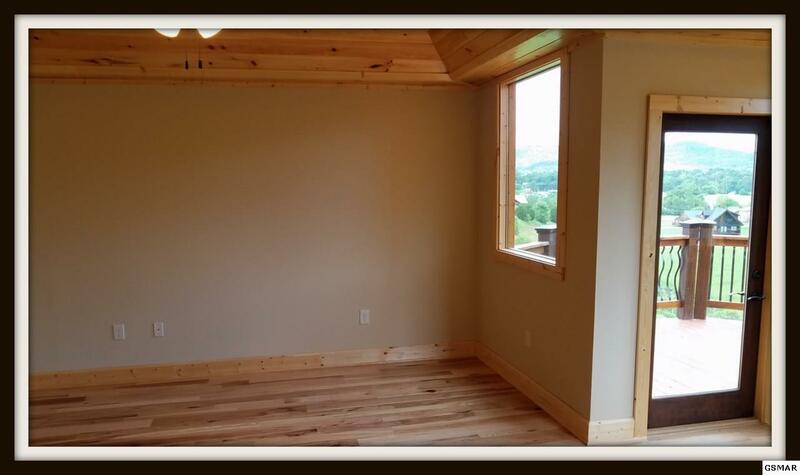 Truly an upscale yet comfortable lodge-style home all ready for its owner!